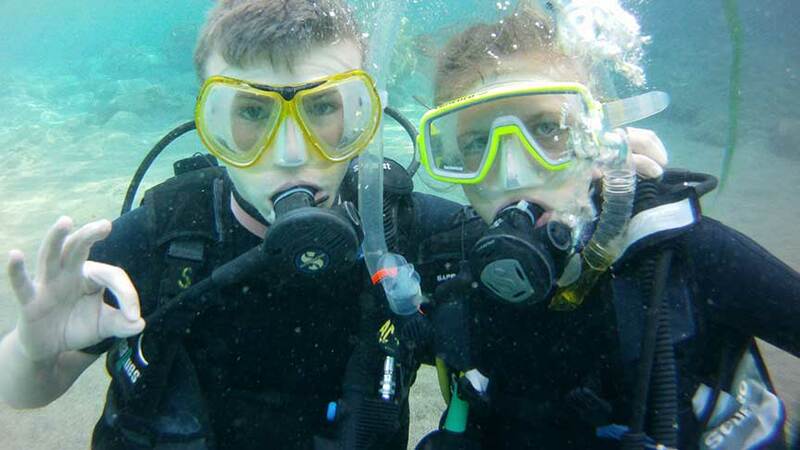 The PADI Junior Open Water Diver course is the world’s most popular scuba course. It has introduced millions of people to the adventurous diving lifestyle. Young people can take the full PADI certification course and upon completion will become Junior Open Water Divers .This course is an exciting and rewarding experience. You will learn to use scuba equipment, plan dives, and enjoy the wonderful underwater world. The course includes 5 knowledge sections. Shallow water sessions to learn and practice necessary diving skills, and 4 dives in the sea to review skills, explore and have fun. Ages 10-11 years old must dive with a PADI Professional or certified parent/guardian. Dives must not exceed 12 metres /40 feet.